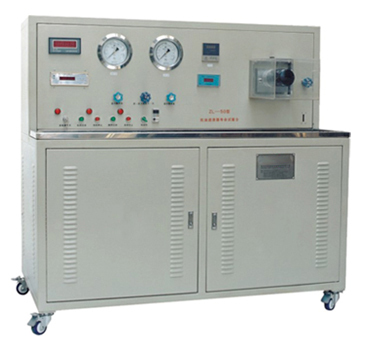 It is used to test: pressure drop/flow properties; bypass element performance; bypass valve open pressure; filter element blocking life; high oil temperature resistance performance etc. 1.Measure test flow through high-precise ellipse gear flowmeter. 2.Use precise pressure gauge to measure the pressure when oil in and out. 3.The working table uses stainless steel, and the pipelines and coupler use rust prevention material.